This easy crochet baby blanket is a free pattern, with easy to follow, step by step, written instructions with pictures. The pink stars on this blanket makes it an Awww crocheting masterpiece. 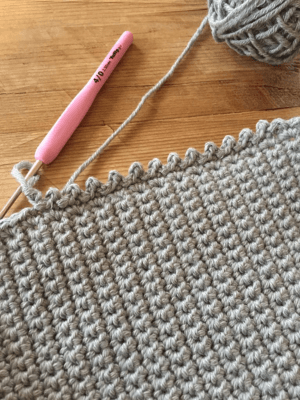 Such a simple and easy pattern to follow and execute, you will confidently have this grey crochet baby blanket completed in no time. The addition of the colored stars really makes this blanket standard and emit such warmth and comfort. 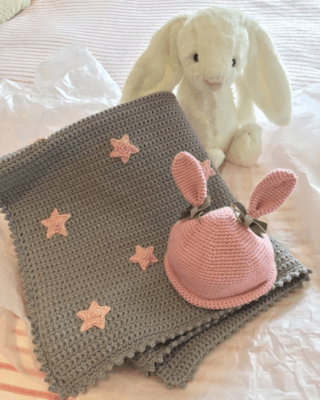 This Simple Crochet Baby Blanket with stars is a must have for anyone expecting a new bundle of joy. This pretty blanket is a simple and quick crochet project, but then made even more adorable with the addition of the stars. This grey baby blanket can be made any size. 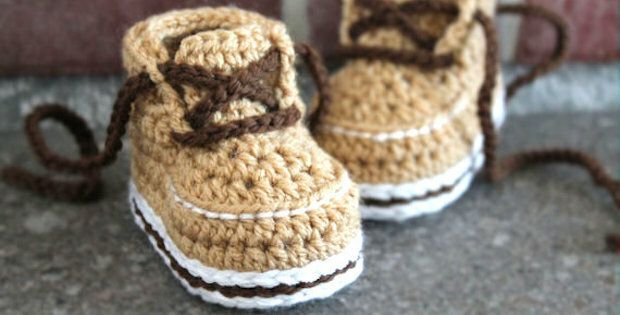 So this fantastic pattern doesn’t only have to be made specifically a baby. Make a larger one for a teen or a huge one for snuggling up with your other half on the sofa. Ideal for a variety of color schemes to suit boys and girls. We think this would look stunning in a rich navy blue with a sparkle yarn in white or yellow for the stars. This easy crochet baby blanket is a stitched in the simple Double Crochet stitch (US Single Crochet). Make the stars separately then attach them to the baby blanket, making this a beautiful and unique handmade accessory! 1 x ball of Debbie Bliss Mia in Light Pink (11) for the stars. 5 mm hook for the main part and a 3.5mm hook for the finishing edge and border. The stars are assembled with a 2.5mm hook. This easy grey blanket is a perfect accessory for you, to throw over a baby car seat or pushchair. It can also be made slightly larger to fit a cot or crib. When keeping your little bundle of joy warm and toasty, this piece of crocheted art is a perfect choice. As mentioned, the blanket is put together using simple Double Crochet techniques known in the US as single crochets. It is, therefore, necessary to be well acquitted and practised with the basic crocheting stitches. 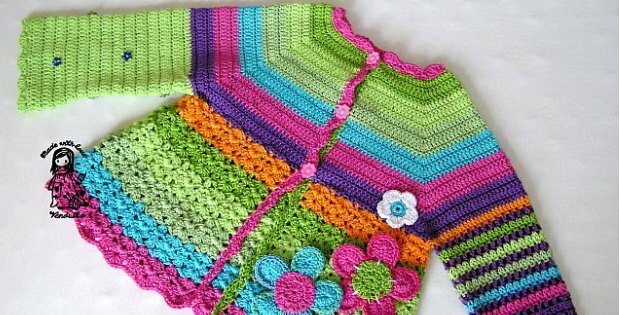 Crochet stitch patterns such as double treble crochets, slip stitches, chain stitches, and half double crochets are needed. The stars are later stitched and hooked up separately onto the already finished grey baby star blanket. The stars make it one of the most beautiful, unique, and aesthetically pleasing handmade pieces. While crocheting the grey baby blanket, you will need to work with a 4.5 mm hook for the blankie’s main body. Then a 3.5mm hook for the borders and finishing edges. Once you are done crocheting the grey blankie, the next part is the stars. 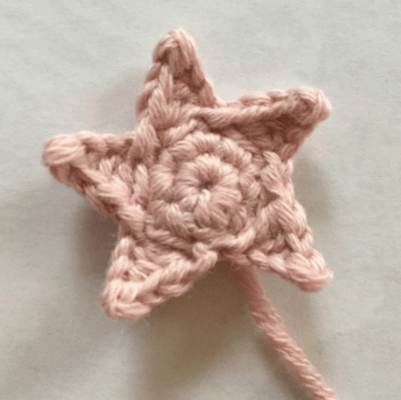 The stars are made using a 2.5mm crochet hook for optimal results. While edging out the blanket, it is crucial to work 2 or 3 stitches into each corner stitch. This prevents the blanket from losing shape. When crocheting the baby star blanket, most people prefer to use one color scheme on the main blanket. Then a different color on the stars so as to draw a beautiful contrast between the two. 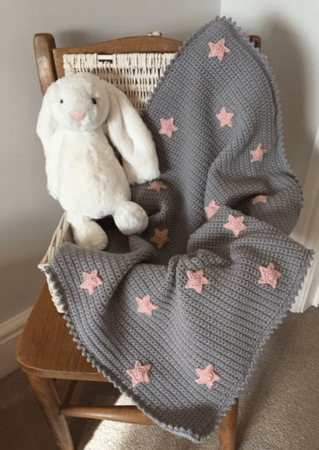 Every mother loves to adorn her child with the most beautiful things, and the grey easy crochet baby blanket star pattern should be one of those things at the very top. If not, you need to rethink your life. Seriously. Other than being the perfect accessory for small toddlers, this blanket can also be crocheted to a bigger size. Even to accommodate the warming needs of teenagers (your emo Rammstein-loving daughter excluded) and adults. I seriously believe that this is one item that your child will grow rather attached to and for a good reason. When done well, it is a marvel of art and everything good in life. The detailing and stitch work can be described as nothing less than immaculate. In conclusion, any crocheting project undertaken with a toddler in mind deserves your best attention and concentration. 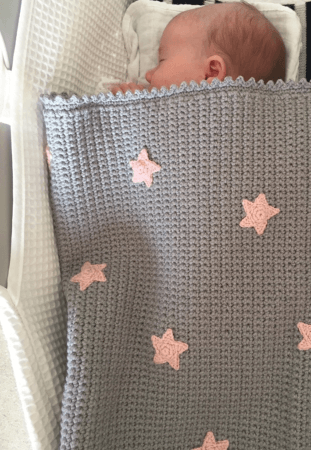 The grey blankie easy star pattern is a physical manifestation of innocence and perfection rolled up into one. 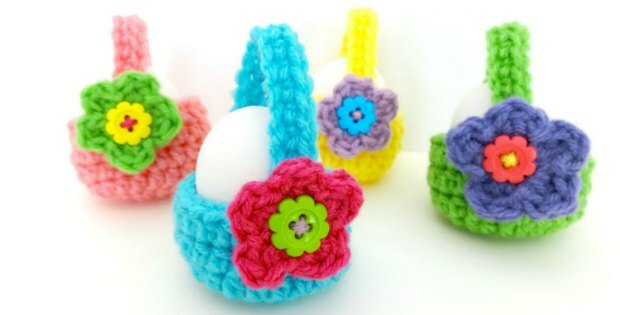 The style is a widely appreciated crocheting style that has been used to create a collection of breathtaking pieces. Grey is a favorite blankie color not only for its ability to accentuate and bring out the life it other colors used, but it is also a neutral color. It’s almost chameleon-like abilities allow it to blend well with both warmer and cooler shades. It’s use on this easy crochet baby blanket is therefore only right. This pattern is just one of the many free crochet baby blankets on our site check out more here. Thank you for this pattern! I am almost finished with the blanket! Is there a pattern for the hat that is shown with the blanket in the first picture? I am making this for a friend and she requested the hat also! So great to hear that you are making this blanket for a friend. What a wonderful gift! I don’t have a pattern for the hat, perhaps it is something that I can write up in the future. In the meantime, I found this cute hat pattern that you might want to make instead. It is very similar, especially if you use the same colour scheme as the blanket. What weight of yarn is used please? Chunky/worsted weight? Hi Jolene, we recommend Debbie Bliss Mia weighted yarn, it is 50% cotton and 50% wool. 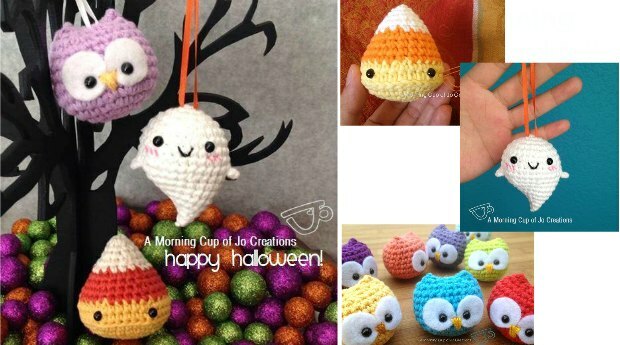 It is hard to find this yarn now, I think it has been discontinued. So go with a worsted weight yarn.